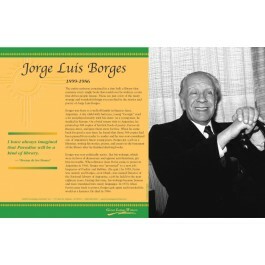 This language arts poster of writer Jorge Luis Borges is one of a series that focuses on great Latino writers. Mr. Borges was born in Argentina in 1899. As a young man, on a visit home from his studies in Europe, he printed up 300 copies of his first book of poetry and gave them away for free. When he returned a year later, he discovered that his poetry had been widely read, and he was considered one of Argentina's finest young poets. 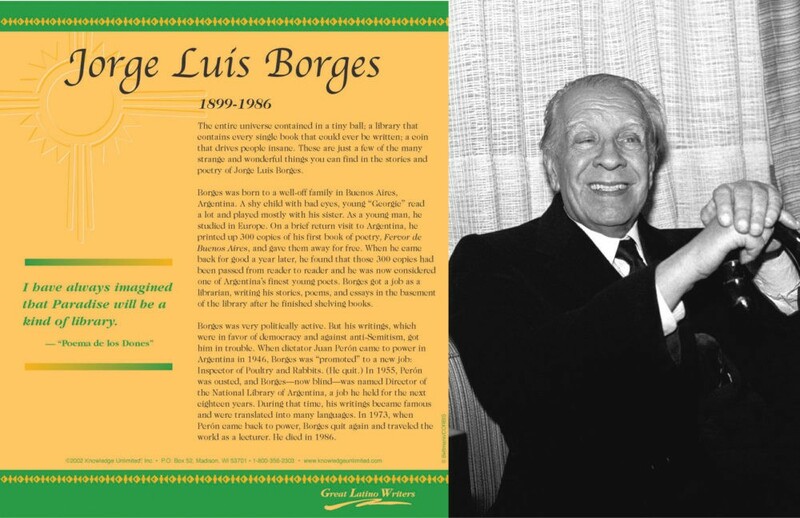 The poster features a photo of Mr. Borges, biographical text, and a quote from "Poema de los Dones." The quote says: "I have always imagined that Paradise will be a kind of library."